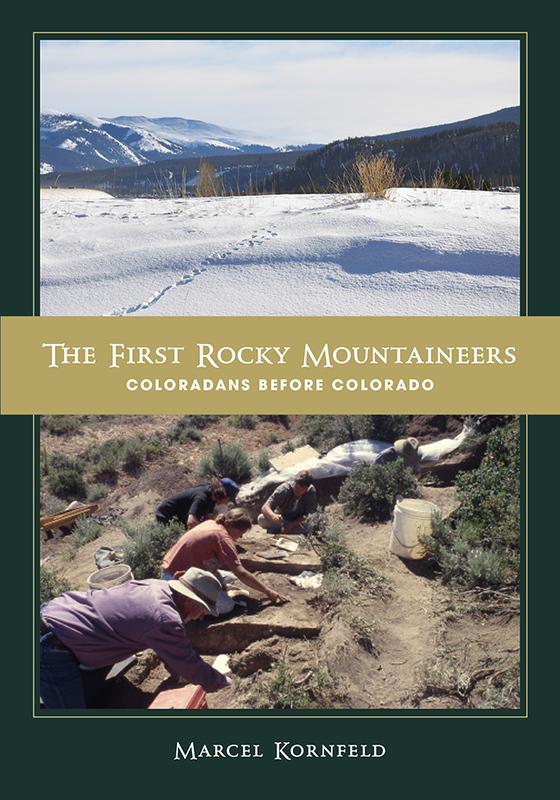 Based on archaeological research in Colorado’s Middle Park—a high mountain basin initially encountered by Europeans in the early 1800s and occupied for centuries by the Ute people—The First Rocky Mountaineers is a prehistory of the earliest people of the region at the conclusion of the Ice Age. The Utes and their predecessors lived and thrived for 12,000 years in this high mountain setting, an environment that demanded unique adaptive strategies because of cold stress and hypoxic conditions. People of Middle Park coped with some of the most extreme conditions of any prehistoric population in North America, dealing with the stressors of high elevations and low temperatures by intensifying food acquisition, constructing shelters, and tailoring sophisticated warm clothing. The archaeological record of these early Coloradans, while still meager, provides a wealth of information about lifeways in the Rocky Mountain high country. The first inhabitants of Rocky Mountain high country left a rich record of shelters, tools, and projectile points as well as food residues in the form of bison bone, all dating between 12,000 and 9,000 years ago. This record provides a robust database for interpreting their lifeways and unique adaptations. Kornfeld offers the first treatment of the original Middle Park and Rocky Mountain human populations from a biocultural perspective. This approach suggests that both biological and cultural processes frame the outcome of a successful human adaptation. While such a process may be resisted by some anthropologists investigating low-elevation groups, it is essential when trying to understand the dynamics of those living in the high country. Chosen by Foreword as the 2014 bronze winner in science. Marcel Kornfeld is a professor of anthropology at the University of Wyoming. During nearly forty years of research he has written ten books and numerous articles about Rocky Mountain and Plains archaeology and prehistory. He works closely with avocational archaeologists throughout North America and is the coeditor (with Mary Lou Larson and George C. Frison) of Hell Gap: A Stratified Paleoindian Campsite at the Edge of the Rockies (The University of Utah Press, 2009).